The ring build is a decisive part of mechanized tunnelling with segmental lining. To determine the optimal installation of the ring it is necessary to observe the current position and orientation of the TBM, plus the position of the last built ring. SLuM Ultra enhances the ring build process by measuring the ring position relative to tailskin axis with millimetre-accuracy. 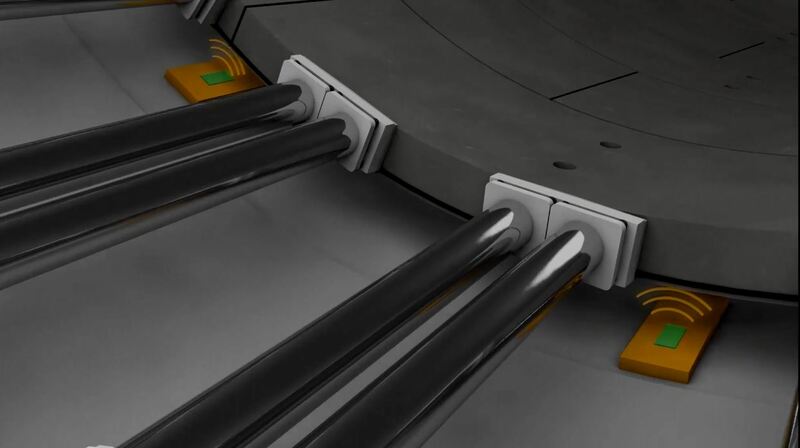 Regarding the demand of ideal ring position within the tunnel, SLuM Ultra supports centric ring build by automatically evaluating the room available in the shield space. The system optimizes the ring build process by interacting with the VMT Ring Sequencing software by taking into account the tunnel alignment, ring design, tailskin clearance, cylinder extensions and machine position and orientation. This avoids damage to the concrete segments and the shield itself. If VMT product SDS is used at the same project, it´s secured that availability of different ring types and their current order and delivery status is displayed at any time.